The ability to thrive and manage life’s difficulties is greatly influenced by our mental wellbeing from an early age. Children and youth need supports in their lives to help navigate the challenges that come along with mental health, and to connect them with the necessary support and services. 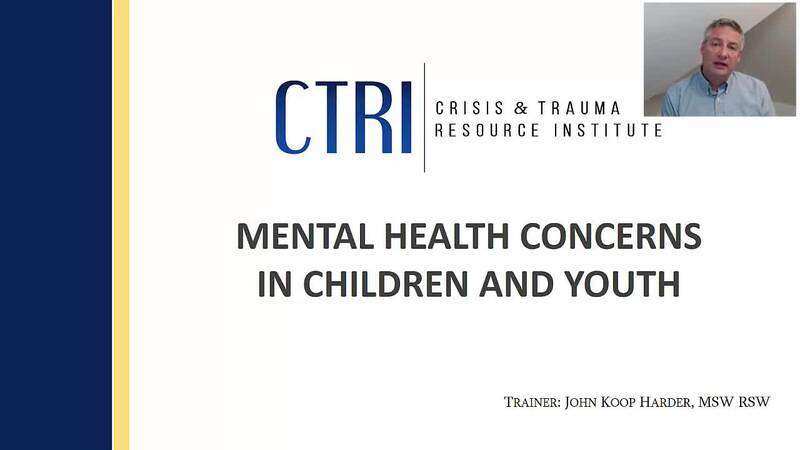 This webinar provides a general overview of the common mental illnesses for children and youth, including the signs and symptoms, themes for treatment, and the controversies that surround some of the diagnoses. Viewers will learn tips for informal support of children, youth, and their families struggling with mental health concerns. SKU: 98. Category: CTRI Webinars. This is an introductory-intermediate level webinar intended for social service and health care professionals, counselors, social workers, school personnel, parents, and anyone interested in learning more about this topic.